That’s when disappointment and frustration set in. You wanted to get so much done, get a big step closer to your goal, but somehow time went by and hardly any of the items on your to-do list are checked off. What is Minimalism About? And What Does It Have to Do with Increasing Productivity? You start wondering whether you need to plan more time for your tasks in the future. Maybe getting up another hour earlier will help you get more done? While this could seem plausible, there’s another point you might have overlooked. Investing more time in your work or project is great. 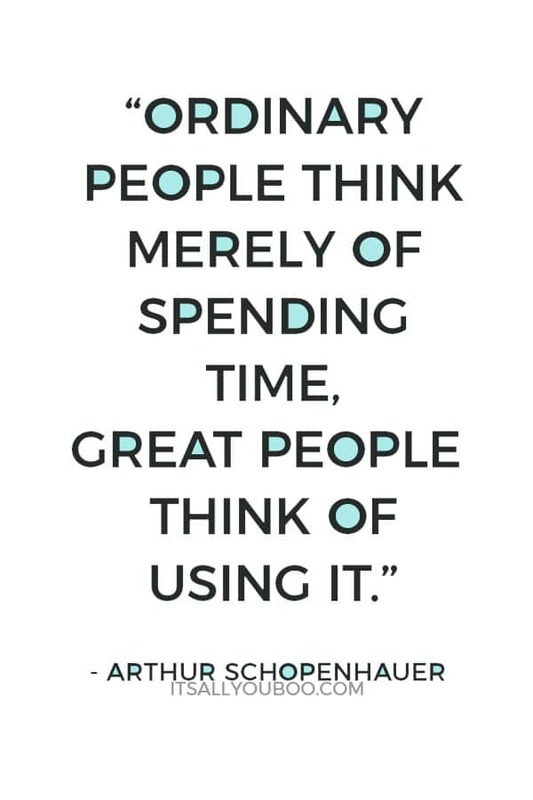 But what’s more important than the amount of time spent is how you use it. Increasing your productivity is about doing more with less after all, here’s how! 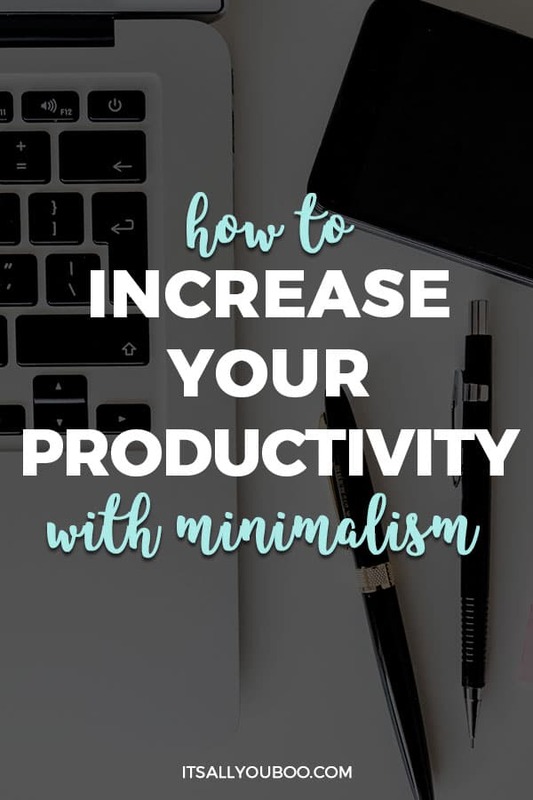 Here are the best minimalist productivity tips and tricks to help you get more done. We are often led to believe that the more we do (and plan to do), the better. That’s why we add countless things to our schedule, try to do everything at once and then wonder why projects don’t turn out the way we thought or take way longer to complete than expected. That’s where minimalism comes to the rescue. 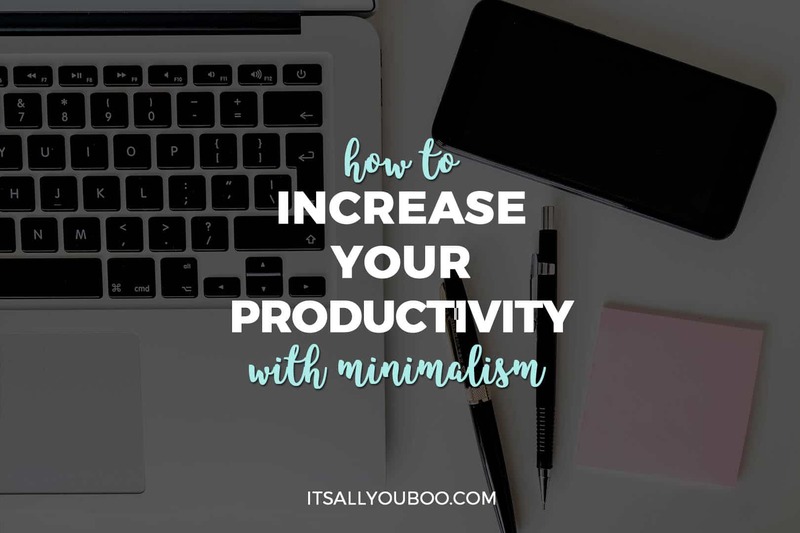 But even without having to purge your house and downsize your wardrobe you can start practicing minimalism and take advantage of its benefits in some areas of your life. The way you work (both on your personal and professional projects) can be one such area. Minimalism can look different for different people. Depending on where you are in life, it can take various forms and be practiced in many ways. In general, practicing minimalism means understanding that more is not always better. Because of that, you’ll find yourself identifying things that don’t add value to your life and slowly getting rid of them. The final goal is to keep only what you need. Still wondering how that relates to productivity? If you find yourself constantly adding new things to your to-do list and trying to do it all, minimalism will help you. By applying the above idea of minimalism to your work habits, you’ll be able to focus on what matters. Eliminating both physical and mental clutter will let you zone in on your mission and evaluate everything based on whether it will help you achieve your goals. You will learn how to cut unnecessary tasks out of your to-do list, spend less time and energy figuring out what to do next and be able to focus your energy on what’s most relevant to achieving your goals. 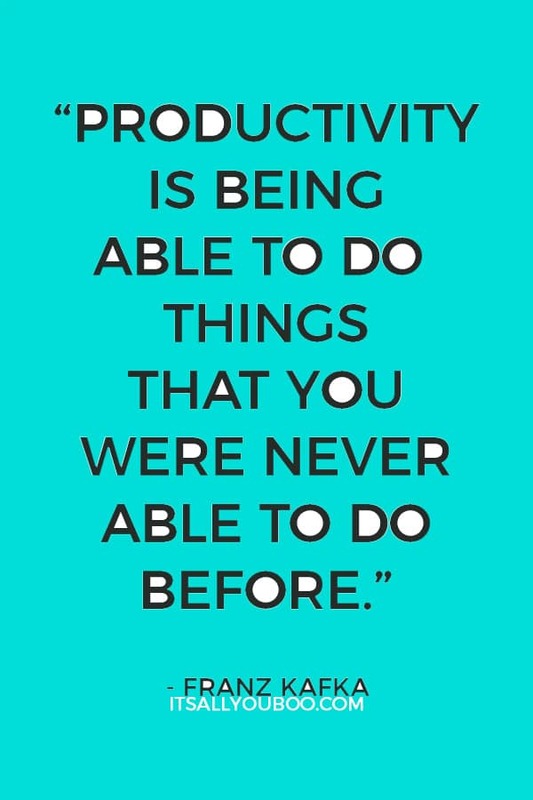 By doing so you increase your productivity exponentially. How you start your day has the biggest impact on how your work will go, so give this one some thought. The idea here is to keep it simple. When practicing minimalism, your focus is on doing only the things necessary to achieve your goals. 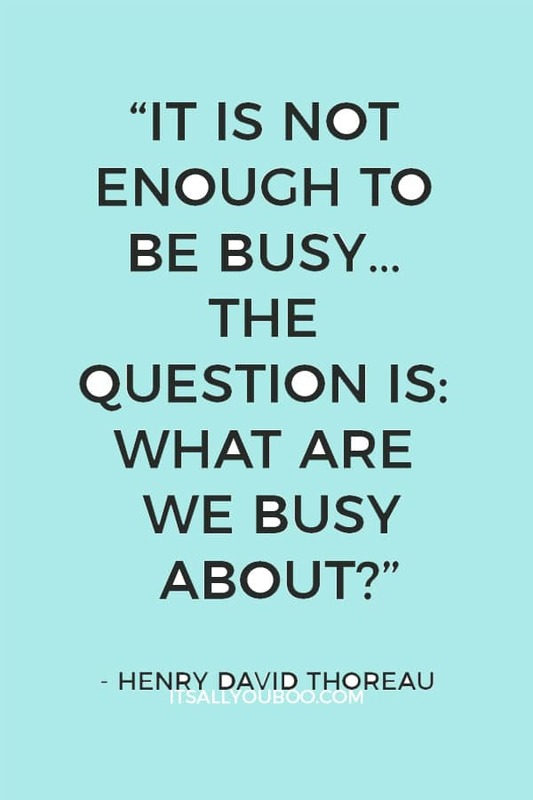 Everything else is busy work. With a solid plan for the day, you get started knowing your work will bring you closer to your goal. That will make it easier to keep your focus as you’ll know your tasks are important and can’t be delayed. In the evening, evaluate your progress. Did you finish the things you set out to do? Do you need to continue any of them tomorrow? If yes, put them down as a priority for the next day. You can even decide on the rest of tomorrow’s activities the night before to give yourself a head start in the morning. Having a strong focus on a few things rather than an endless to-do list will also help you in case life happens and stuff gets in the way. In the likely event of something taking your mind off work for a few hours, you will know how to prioritize your time after the storm has blown over and get back on track. To maximize this approach’s positive impact and see the bigger picture, plan tasks ahead for the whole week or month. If possible and your work allows it, eliminate everything that could be a distraction. This includes the TV, your phone, notifications on your computer and other things around you that could divert your attention from your task. Need a place to take notes for sudden bursts of inspiration? Use a notebook and a pencil instead of your phone. It works for Warren Buffet, chances are it’ll work for you too. Sign out of social media, close all those tabs (that’s what bookmarks are for) and get to work. If your task doesn’t require you to be connected, maybe even shut off the internet. Yes, I actually just said that. Also, do one thing at a time. Multitasking is an illusion. It does not help you get more stuff done faster. It only slows you down, splits your focus and scatters your brain. Does that sound like a productive state? Not really. Will my business die/I get fired if I don’t respond immediately rather than in half an hour? Will I lose a client or potential sale if I don’t reply right away? What other bad things could happen if I don’t check my messages right now? Answer these questions honestly and you’ll likely see that you can go off the grid for a while without the world coming to an end. No, we’re not talking about meal prep here. This is about another way of minimizing the number of things you try to do each day and how to best use your time to get stuff done and move towards your goals. Every job involves some repetitive tasks which need to be done regularly to keep things moving. Often, we break them up into bite-sized pieces, doing a little bit each day or several times a day, depending on the job. However, that often leads to us losing time that would be better used on something else. That’s where batching and automation come in. With today’s technological tools, there’s a way to batch or automate many repetitive tasks which will help you free up time for more fun things. Depending on your work, there are many more things you can save time on by batching and automating. Examine your workday, find them and start dealing with them more efficiently. This will free up your mind and your schedule, giving you more time to do other things that matter. Practicing minimalism means keeping things simple. A great way to implement that in your work is to manage how and where you store your information, notes, ideas and anything else you want to keep track of. Often, it’s tempting to try the latest app, get that beautiful new journal and scribble bullets on a random piece of paper whenever inspiration strikes. And while there’s nothing wrong with jotting down notes or testing a new app, make sure all your important ideas have one common home, so you don’t lose track. Remember, each of these approaches is supposed to help you stay focused. By using all of them at once, you’re back to square one with a difficult-to-manage mess of notes, sketches, outlines, photos and other information all over the place. There are many more options, each with pros and cons. Stick with what works for you and you’ll see how you get more done, simply because you spend less time looking for stuff or to learn a new system every other week and more time working. While having a good internet connection can play a big part in keeping you productive, that’s not what this point is about. Rather, it’s a reminder to give yourself a time buffer when planning your day, instead of stuffing every single minute with important tasks. But why not plan to utilize every moment? Because stuff happens, and it gets in the way of you checking off the countless items on your list. If you’re an entrepreneur, you could land a new client with an urgent project. Or if you have a day job, you might have to work late which would cut down the time you can spend on your project. So, since you never know what will happen tomorrow, or even later that same day, make your schedule flexible by giving it some breathing space. That way you can deal with surprises, still finish everything on your list and feel this great sense of accomplishment that comes with a day well spent. And what if nothing happens and you have extra time? You can get ahead with tomorrow’s tasks or have a little break. After all, if you’ve checked off everything today, you probably deserve a little rest. You’ve already narrowed down the number of tasks you want to do in a day. Now you just have to get going and stay productive. The best way to do that is to break your tasks down into milestones and take a quick breather every time you finish one. Taking breaks gives your brain a chance to relax and refocus and will do wonders for boosting your productivity. Finding a rhythm that works for you is important here. Some people love working for 25 minutes before taking a five to ten-minute break, others go for 50 minutes of work and ten minutes of break time. Play around with this one to find what suits you best. Bonus tip: Not all breaks are created equal. Use them for something truly relaxing. Instead of scrolling through social media or reading emails, do a short mindfulness meditation, some stretching, get a drink of water or even go for a short walk to clear your mind. Have you ever been given a seemingly impossible deadline for a task? And were you able to complete it even though you were convinced you’d run out of time? If yes, then you’ve experienced the stretchiness of time. It’s the reason why we often take longer to do something if we have more time to do it. If the deadline is closer, you work with more focus and get things done faster. Plan something important which you can’t postpone right after you’re supposed to be done with your work. That could be lunch with a friend, a call with a client or anything you would feel uncomfortable canceling or being late for. Wondering whether these points will finally help you get more done in the little time you have to work on your project after your day job? Or if it will help you become a more productive, less stressed new entrepreneur? Are you ready to increase your productivity? Start by simplifying your schedule and to-dos list. 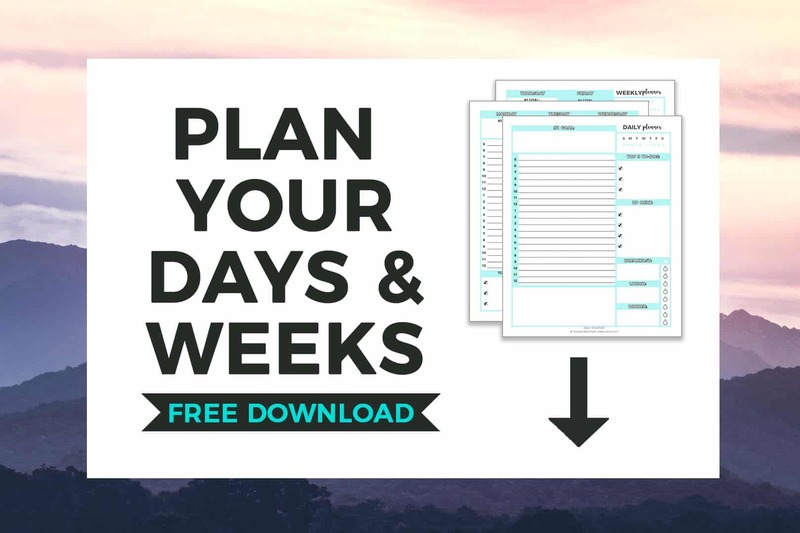 Get your FREE Printable Daily and Weekly Planners below. But don’t take my word for it. Try it for yourself. Give each of the points above a test run for a few days or maybe even a week and watch as you increase your productivity seemingly all by itself. At the end of the week, you’ll wonder how in the world you go so much done when it used to be such a struggle. And I know that’s something you’re dreaming of right now. How will you increase your productivity? Juliana is a health and wellness-loving voyager on a lifelong mission to help people live their best life by adopting a happy, fulfilling and healthy lifestyle. She currently lives in Vietnam where she’s building her copywriting business as well as the Curious Butterfly Blog and exploring the rich local culture together with her husband. With two (soon to be three) kiddos I’m always looking to get the most out of my days! I definitely subscribe to calendar blocking and lists- they keep me sane and they keep me in line. Thanks for these tips as I’ll be adding many of them to my daily to-dos! Hi Aine, glad you liked the tips! Would be curious to know which ones work best for you! These are some really great tips, especially for someone who lives a super busy life. Sometimes it’s easy to overwork yourself but when you slow down and take your time it can lead to a better outcome. Hi Caylin, I totally agree with you! I remember feeling a bit weird at first when I slowed things down a bit and deliberately did less. The positive outcomes were so amazing though that I’m convinced it’s worth trying. I am so happy to come across this post, it will help me in lots of ways. Being productive with kids is surely a hard thing to do, but I will be making use of your steps. Thank you! I need to be more hermit-ish when I work from home. Good tips! Love your point number 6, breaking up the day into smaller tasks definitely way to go! just have to work on not letting them go out of control! Hi there! Yes, that’s true. Sometimes it can be tempting to add too many tasks thinking they are all quick to complete. What has helped me in that case is to have a main to-do list I work through first and a list of other tasks I can do afterwards if I still have time/energy. That way all tasks have a home on a list and I still get to feel good after finishing off my main to-do list. My biggest thing is working like a hermit part. I always feel I need background noise on or I want to watch my favorite tv show while working. THis obviously distracts me. Maybe I need to turn to music? With all the stuff we’re used to going on around us, it can be hard to switch it all off and work without the distractions. If you feel like you want some background noise, maybe try looking for some cool clips on YouTube. There you can find everything from white noise and rain to coffee shop sounds and instrumental music. And if you prefer the real thing, working at a coffee shop or co-working space could be a great option. Let me know if one of those works for you! Omg this is just what I needed to READ today to help me get more on track! Lovely tips here. I am always looking for more ways to be extra productive since I work from home. Will be trying some of the tips here. Hi there! It can be challenging to stay on track while working from home, right? Curious to find our which tips work best for you. For me it’s blocking ’empty’ time slots and giving myself a bit of a buffer. I really struggle with feeling productive and motivated so this was an awesome read! I need all the tips I can get on this topic! Great post, thanks for sharing! So many amazing tips in here!! I already do a bunch of these – like planning out my day before it starts, working for 25 minutes and then taking an active and refreshing break, scheduling social media posts, etc. but I have sooo much I can still learn from this post! One thing I definitely need to work on is sticking to time limits. When I plan my day I like to plan how long I’ll spend on each task but I always feel like I’m going over! Hi Beatrice, so glad you found some useful tips here! I know the feeling of always going over the time I’ve allotted to a project. What has helped me with that is to look at why that happens. Did I get distracted? Or was the task bigger/more complex than I thought? I totally agree that multi-tasking is overrated. Whenever I try to do it, I always end up getting a little done on a lot of tasks but not really finishing anything. Doing one thing from start to finish before starting another (when possible) gives me a sense of accomplishment and I usually do a better job on it, too! Great advice. So many of us can be all over the place. Thanks for the tips. It’s so easy to be scattered and cluttered – it seriously ruins our productivity. Being focused with minimalism really helps. These are all really great points. I am definitely guilty of not utilizing by breaks effectively. I could definitely benefit from going for a walk or doing a mindful meditation exercise! You and me both! I really try to take real breaks and NOT thinking about all the work I could be doing while on downtime. Minimalizing the mind! These are some amazing tips to increase productivity. I often find myself struggling to focus on a task and waste time on non-important things. I’ll try the tips shared here and minimalism. You’re not alone in this, I too get distracted sometimes. But, if you set your environment you can avoid distractions. Shut down your email, turn off notifications and try to lock in for like 20+ minutes at a time. Then, if you want to check those non-important things it’s a break, instead of constant interruptions. That’s how I increase my productivity! I really need to work on narrowing down my tasks. These are really good tips! Yes, that’s the best way to start, focus on doing less so you can get more done in the long run. Great tips. I have batched some tasks, as I try to keep a queue of posts so that I don’t have to spend time every single day writing a post, which I don’ t think I would have time to do anyway with full time day job I attend to. I also like your suggestion of breaking up a big project into small tasks. I found that very helpful, even in my day job, because it makes me less stressed and the project less overwhelming and big. Batching is the best, I try to do most of my blogging tasks all at once each month or two. I schedule like 5-6 blog posts at one time, a month of social media posts all at once and so on. It’s just easier that way. What an excellent article and it was so well written! I love articles with tips in them! I’ll certainly adhere to some of your recommendations! So glad you enjoyed this amazing guest post on how to increase productivity! I’m a huge fan of all of Julianna’s tips too. With my kiddos, I’m always trying to get the most out of my days. I feel like I don’t get enough done. You’re not alone in this. I’m kid-less, can work like 12 hours a day straight and still feel like I didn’t get anything done. You’re doing the very best you can, with the time you have. And if you honestly feel like you’re not, then there is always room for improvement. Hope these tips help! There are so many fantastic tips here! I love them all. Especially batch working and automating, that’s exactly what I do to churn out my posts! It’s all about working smarter not harder! So glad you enjoyed the post and all of Juliana’s amazing tips. Batching and automating are my favorite ways to increase productivity. Also, can’t get enough of time blocking, I do it for my entire month.